Written in the tradition of Stefan Zweig’s biographical studies, Haffner’s Churchill is a concise, effective, warts-and-all analysis of one of the giants of the twentieth century. 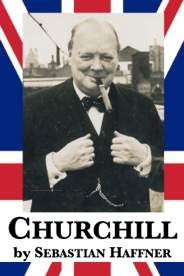 Beginning with a brief history of the Churchill family, Haffner examines the future Prime Minister’s childhood; his early failures in school and in politics; his indomitable energy and drive; how he managed to become an inspirational figure to anti-Nazis all over the world; and how he managed to seize success from the jaws of defeat over and over again. Compact, elegant and incisive, this is the one book about Churchill that is a must-read.